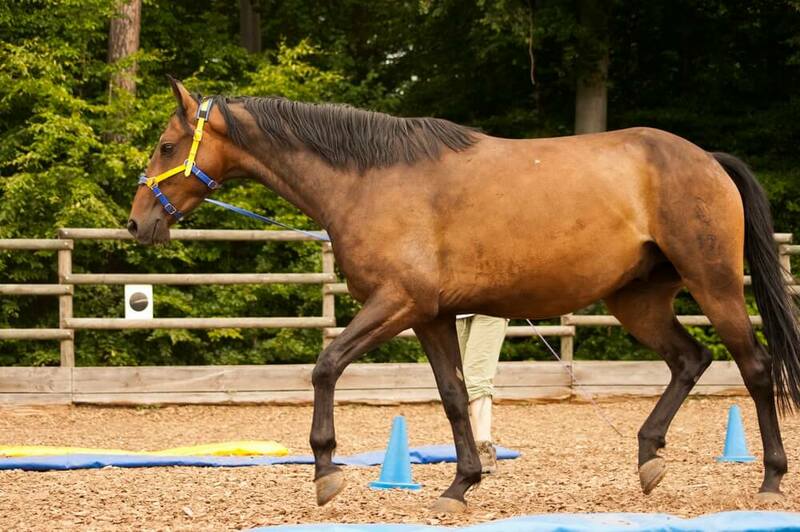 Lunging is a good tool for teaching horses to respond to your physical and verbal cues. It is also an excellent way to help your horse burn off steam. This is important after a long, inactive winter when riding season is just starting up. When you start your horse off with lunging, you can refresh his memory, rebuild your working relationship and help him get in shape and in the right frame of mind for riding. In this article, we share valuable tips to help you learn how to teach a horse to lunge correctly. Read on to learn more. 2 What Do You Need To Do Lunging? Always follow a pattern when lunging. It is helpful to work at the same time of day and in the same, enclosed setting every time. Follow the same routine every time. Decide right off the bat which direction you will start with. Stick to that from then on. If you decide you want to start out working to the left, you will begin by holding the lunge line in your left hand and your lunging whip in your right hand. When you switch to working toward the right, switch hands. What Do You Need To Do Lunging? You need a good quiet setting and some simple equipment to perform lunging safely and effectively. To get started working to the left, you would point to the left, move your feet to the left and signal your horse by lifting the lunge whip toward his hip. This cues the horse to move forward. When you want your horse to move, you should move too. Position yourself so that you are off, behind your horse’s withers. This helps him know that he should move forward. If you are even with his neck or head, he may think you mean for him to stop. Your gaze can also inadvertently signal your horse. Keep an open, relaxed gaze observing your horse’s entire body. Don’t stare into his eyes as this may distract and unsettle him. If your horse slows or stops on his own, use the lunge whip to signal him forward and be sure your feet are moving in the direction you want him to go. If you are moving, your horse will understand that he should be moving too. This is natural horse communication. In a herd of horses, the herd follows the lead mare. They do not wait to be told to go. Remember that the lunge whip is for signaling only. It is like a pointer used in a presentation. Its purpose is to direct your horse’s attention. Hold it low and move it in a purposeful way. Move your feet quietly and in a purposeful way. You are instructing your horse. You want him to remain calm, pay attention and respond appropriately to your cues. You can also use body language and purposeful movement to signal your horse regarding speed. Keep your movements low, small and quiet to work at the walk. Lift and energize your movements to progress to the trot and the canter. When your horse is responding well to your body language, he or she will comprehend your voice commands more clearly. To cue the trot, energize your body language a bit. Raise your shoulders and step out with a bit more energy to show your horse what you expect from him. Elevate your whip a couple of feet and give your horse a verbal cue to step out at the trot. If he doesn’t pick up on your signals, touch the whip to his hip. Remember that this is a signal, not a punishment. You should not hit your horse. When you are ready for your horse to stop trotting, relax your body language, lower your lunge whip and say “whoa”. To move into the canter, signal with your lunge whip held a little higher. Rev up your energy and your body language a bit. Deliver your voice cues with more energy. When you want your horse to stop, stop your feet, lower your whip and quietly say “whoa”. Remember to stay calm and collected as this is how you want your horse to behave. To get your horse to perform smoothly and in a relaxed manner, you must be smooth and relaxed. After the stop, you can use your lunge whip to signal backing by gently lifting it ahead of your horse and using hand, body and voice cues. Pay attention to the way your body language affects your horse. Adjust as needed to obtain the desired results. This exercise helps you learn how to use total communication (body language, hand signals and voice) to convey your wishes to your horse. It also helps you understand what your horse is saying to you. This skill is extremely valuable for both of you for ground work and riding. Remember that your horse should work in a full circle. This provides the best workout and fulfills the potential of the exercise. Don’t let him cheat by drifting into an oval configuration. When you have worked a nice round circle (left and right) walking, stopping and backing several times at the walk, repeat the whole process at the trot and then at the canter. Repeat all of the exercises you have done working toward the left. Just as with people, working both sides evenly provides a balanced workout. Always keep your own signals, body language and voice cues consistent and controlled. Remember that you are using these tools to communicate with your horse. If you act wild and crazy, wave your arms and whip around, move erratically and shout, you can expect to have a confused and uncontrollable horse. This is not your goal. Regular, consistent, sensible lunging training sessions provide you with a great opportunity to establish yourself as the lead partner in your relationship with your horse. If you are predictable, reliable and trustworthy, your horse will look to you for guidance and defer to you in uncertain and dangerous situations. This is your goal.